Mayawati today took a dig at Uttar Pradesh Chief Minister Yogi Adityanath saying that he will look after the development of the state when he gets time from "puja paath" (worship) in temples. 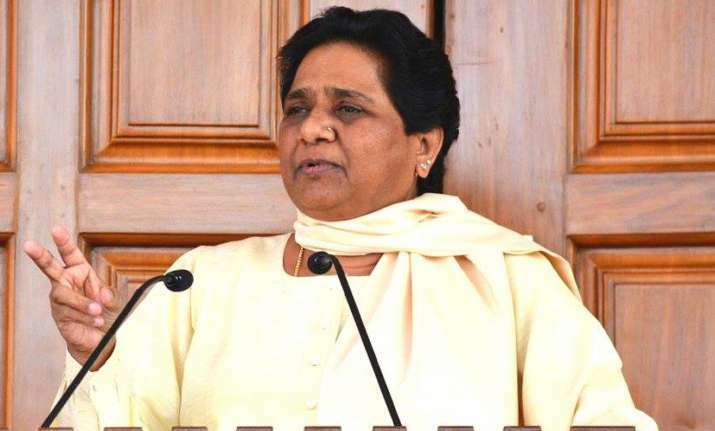 BSP president Mayawati today took a dig at Uttar Pradesh Chief Minister Yogi Adityanath saying that he will look after the development of the state when he gets time from "puja paath" (worship) in temples. "Despite being a representative from the backward Purvanchal area, he has not been able to give attention to its development...He can focus on it only when he gets time from his puja paath in temples. Sometimes he is in his Gorakhnath temple or in Ayodhya or Chitrakoot. Leave alone Purvanchal, the entire state cannot develop under such circumstances," she said. She claimed that the BJP leaders can go for prayers to temples in Ayodhya, Mathura and Varanasi to hide their shortcomings but the people would not be misled by their "religious card". A new India cannot take shape under the BJP rule, she said at a party rally in SP patron Mulayam Singh Yadav's Lok Sabha constituency. She alleged that the BJP government in the state had not been able to do anything much to fulfil its promises. "The previous Samajwadi Party government was not good, but the present government is worse and is even lagging behind them," she said. Charging the BJP with indulging in theatrics, she alleged that an atmosphere of fear and terror had been created everywhere in the name of religion and culture. Muslims and minorities are finding it difficult to sustain, so much so, that they have stopped keeping cows out of fear of cow vigilantes and even Hindus are desisting from it, she added.